The Holy land experience – Since the birth of Christianity over 2000 years ago, this ancient land has constantly been a pilgrimage destination for Christians throughout the world. Throughout the Holy land, you will find important Christian shrines, from the north through to the south of the country. View this spectacular film. It is breathtaking! At the southern end of the lake is the beautiful baptismal site of Yardenit. 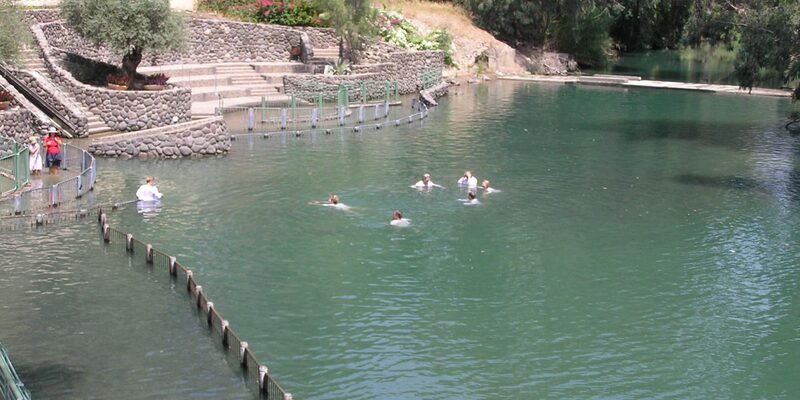 Over 400,000 visitors arrive annually to the Holy land from around the world to be baptized or re-baptized in these waters.You can view the beautiful ceremony from the water’s edge watching as the people enter the water in white robes to be led through the ceremony. 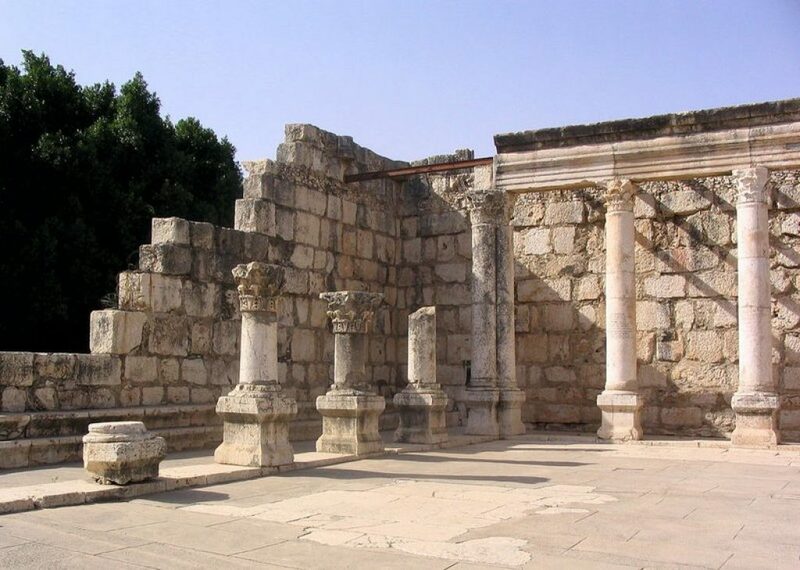 During the Easter holiday period, many Christian ceremonies are held in the Jerusalem area. This last Easter 2011, I had the privilege of participating in the annual Palm Sunday procession. The Christian moveable feast of Palm Sunday is always commemorated on the Sunday before Easter Sunday. The feast celebrates Jesus’ triumphant entry into Jerusalem two thousand years ago when, according to the New Testament, followers threw palm branches on the road to welcome him when he entered the city riding a donkey. 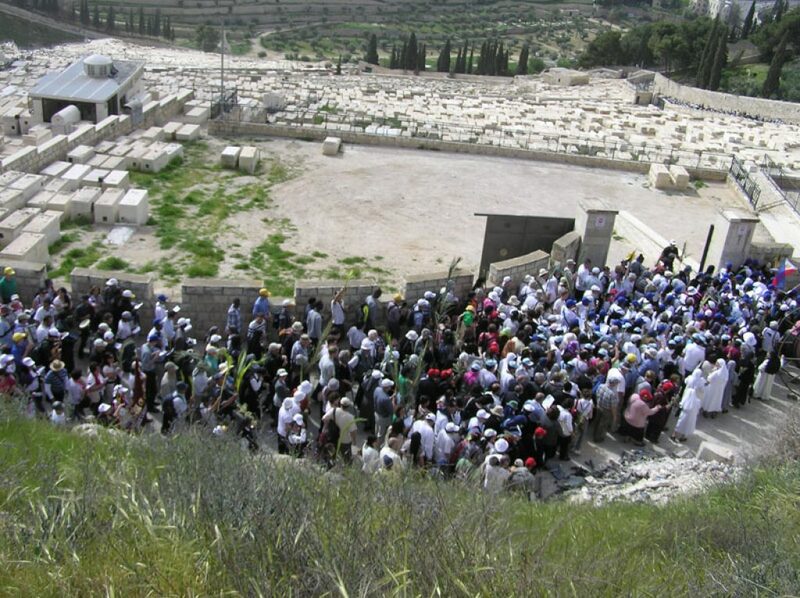 Commemorating this journey, 10,000 participants from churches all over the world march from the The Greek Church of St. Lazarus, the burial place of Lazarus on the Mount of Olives. The joyous procession winds its way down towards the old city, where it enters though the Lion’s Gate, ending at the Church of the Holy Sepulcher. It was an incredible experience to see and hear, as the crowd sang hymns each in their different languages, played guitars, and beat drums all throughout the procession. It is an event well worth taking part in. Here you will find some of the best Holy Land tours offering top sites and attractions for your complete Christian tour. 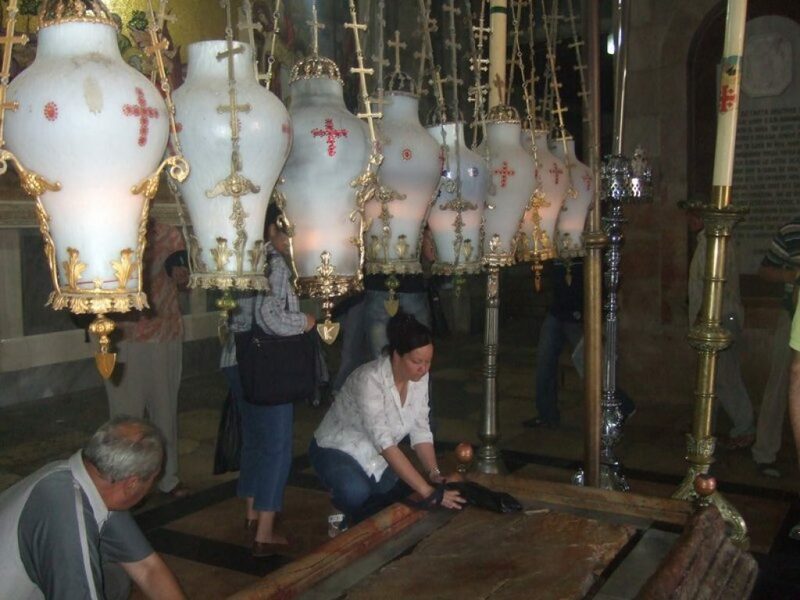 Church of the Holy Sepulcher – considered the place of the burial and resurrection of Jesus. Via Dolorosa – know as ‘the way of the suffering’ – the path that Jesus walked, carrying his cross, on the way to his crucifixion. 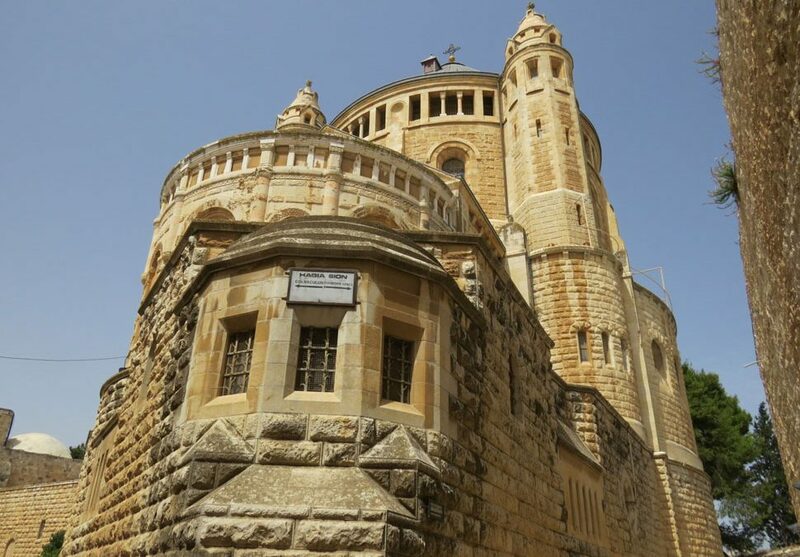 Nazareth – considered the childhood home of Jesus – Nazareth has many significant Christian shrines. Bethlehem – known as the birth place of Jesus – this town has one of the oldest Christian communities in the world. If you are planning a pilgrimage to the Holyland, I recommend one of our recommended guided tour packages or hiring a local private guide to show you around. The local guides are very knowledgeable about Christian Biblical history and will make your visit an incredible once-in-a-lifetime experience. Don’t forget to pick up a couple of gifts – jewelry such as a Jerusalem cross necklace is a great souvenir to remember your pilgrimage ! See more amazing pictures of Israel. Have wonderful experience in the Holy Land.